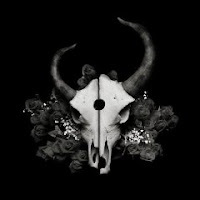 Earlier this week I read online that one of my favorite bands, Demon Hunter, was about to release a new album in a few weeks. I decided to listen to one of their older albums, Summer of Darkness, while I was working. As I listened to the album, I felt a connection that I can't really explain. I've got hundreds of Cd's and there are very, VERY few of them that I have the same type of strong connection with. I'll try to put it into words but I doubt I can. The hard part in doing so is that while listening triggered some specific memories or emotions at the same time, they were also generic and vague. Make sense? Nah, not to me either. But regardless... that album makes me feel something. As I think about it more, I can kind of pinpoint some of the reasons why the album connected with me so much. First off is the music itself. They weren't the first band to do the heavy-yet-melodic style but they were one of the first Christian bands that I personally heard do it that well. And that's another thing... I'm gonna get on a soapbox for a second... OK, actually, I'm not... I'll just say that everything that Demon Hunter did on that album, from the music itself to the artwork, screamed excellence. I wish more people would follow their lead in that regard. And speaking of the artwork... I have no doubt the visual imagery that they provided for that album is one of the reasons it connected with me so much. It just added another element to the overall listening experience. They do that with each of their albums, another reason why they're one of my favorites. This is also one of the first albums I got after getting back into music. From around September 2001 to March 2005 I took a break from the music scene. When I got back into it, a friend of mine told me about these guys and after watching a video from their first album I was hooked. Sorry if this post has been a bit more of free-flow than normal. But I guess what I'm trying to get at is that I wonder how many other people out there have similar albums and stories. Is there a specific album that you have that no matter where you are or what kind of mood you're in, the moment you begin to hear it, you have all kinds of thoughts and emotions rushing through your head? Anyone? It's been a bit easier to focus on music this week, especially compared to the previous two. Having to go back to the day job helped re-establish a bit of routine but I'd be lying if I said that everything is back to normal. But I was able to do a better job with my Daily 5 this week, definitely better than the previous week. Here's a quick update on the six music goals that I set for 2010 back in Week 1's post. Distribution Model - I'm still deciding on the distribution model for my music but I will have a decision made by next weekend. Online Presence Integration - I have some integration going on between Twitter, Facebook, Myspace and ReverbNation but I still need to tweak their appearances as well as change the Twitter-Facebook relationship to update my fan page instead of my personal facebook page. Organizing Catalog into Albums - Haven't touched this one. Re-Design Web Site - Finished! Write 50 New Tracks - Should have my first one done later tonight! Weekly Hour of Promotion - Haven't done this yet. Will start focusing on this one now that #4 is done and #2 is nearing completion. Week 3 - Optimizing Your Website is the shortest chapter in the book at only 3 pages in length. But those pages contain 6 steps for maximizing your web site. Some of the steps include adding your pitch to your home page, making sure your page loads in 3.5 seconds, getting rid of flash intros and adding a consistent look and feel across all of your online presence. Even though I had originally planned to have my web site re-design finished around May, after reading through this chapter I decided to move it up. Instead of writing some new tracks over the holidays, I spent some time writing code instead. I took the steps Ariel mentioned and tried to incorporate them into a new site. While I was working on this, I heard from one of my old college roommates, Nathan, who happens to have the moniker of being my #1 fan. He's been there since the very beginning when I first learned how to play guitar back in the dorm room. He truly earned the name. The reason he wrote was to give his opinion on my perfect pitch. He mentioned that my more recent material had started moving towards a keyboard-based, dirty synth lead type of sound, a la Linkin Park. And while he thought the pitch was good, he felt like if I was going to continue in that new direction, that maybe I should consider that. I agree with him that it's more fitting and is a better description of where I'm at now musically, as well as the direction I'm heading in. Now back to the website... I tried to implement Ariel's 6 steps in my new design. First off, I added my pitch to the site. I put it in a spot so that it's always there, no matter which page you land on, so there will be no doubt for anyone who visits the site as to what my music sounds like. The fourth step was to implement a consistent look and feel throughout the net. I've partially done this in regards to my other social networking sites but I haven't completed this one yet. Mainly because I was waiting to go live with this site before taking on the other ones. But that will be one of my Daily 5 items for the upcoming week! The next step was to give away an exclusive MP3 or video or something that would entice people to sign up for your email list. So I made myself a banner ad with "FREE MP3" written on it to hopefully entice people to sign up. The final step is to make it clear to the user that once they sign up they'll be told how to get their free item, as well as make sure they know their email address will never be given out to anyone ever. To handle the first half of that step, I was able use a feature in my ReverbNation account that sends an auto-response when someone signs up for your email list so that made it easy to manage the instructions aspect. Coming up next week is the Musician's Guide to Web 2.0. Looking forward to that one as I suspect it will be a crucial step in the process of getting my music out there. But now I've got a couple last minute things to check and then I'll be publishing my new site. It should be live within an hour or so of posting this blog.